110L rolling gear hauler with exceptional strength-to-weight ratio. 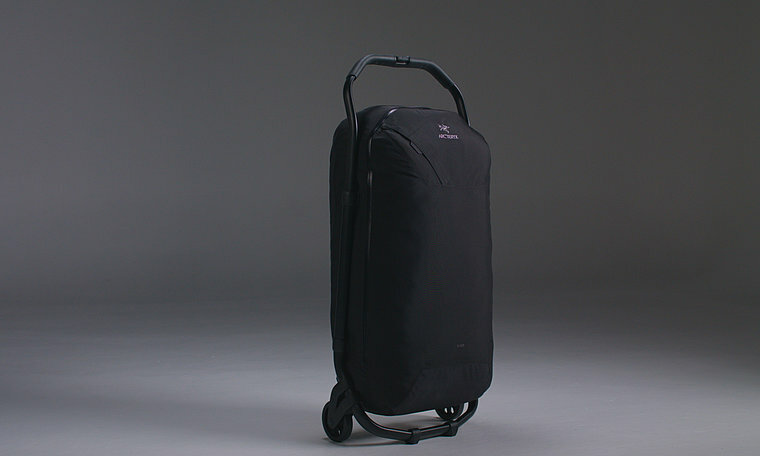 Lightweight and durable travel systems that are easy to use, secure and ergonomic. Standard checked baggage size allowances vary, review your airline's restrictions before travelling. Leveraging a unique external frame design, the V110 rolling duffle hauls more gear without surpassing airline weight restrictions. The light, strong 6061 T6 hard anodized aluminum frame removes irregular space, increasing capacity without adding weight while providing infinite grab and lash points. The hardwearing 630d high tenacity nylon body material and 690d reinforcements are coated and seam taped for weather resistance, and oversized nylon wheels easily handle curbs and rough terrain. 110L rolling duffle transports gear to/from your climbing, skiing and trekking adventures.